This line was opened in 1845 by the London and Birmingham Railway. 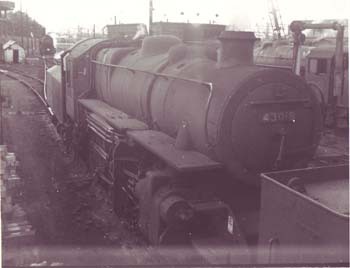 Part of the line was called the Marston Vale Line. The original line was opened to connect the two universities (Oxford and Cambridge), and called the Varsity line. 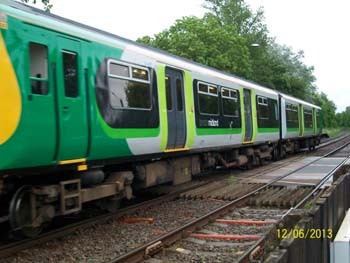 The line was operated after privatization (in 1997), by North London Railways later re-branded as Silverlink until 2007, when London Midland took over. The Marston Vale line is only one of two parts of the Varsity Line still in operation today (July 2013) and provides a link East to West where there are very few links. The line carries freight as well as passengers. When steam was withdrawn from use in 1968, Diesel Multiple Units (DMU’s) were used, the latest being used on the line are the class 153, and the two car class 150. Apart from a small stretch of single track at both ends, it is a double track and is not electrified (apart from some short lengths at either end). In 1977 the line was due to be electrified by 2000 under plans by a labour government, but when the conservative government took over in 1979, the plans were not implemented. It has an overall line speed of 60 miles per hour and a loading gauge of W8. W8 allows standard 2.6m (8ft 6in) high shipping containers to be carried on standard wagons. The level crossings on the line were automated in the 1980’s. In 2004 a modernisation program was undertaken and the numerous signal boxes on route were taken away and the line signalling is controlled from the signalling control centre at Ridgmont. Bow Brickhill station was opened in 1902, and until 2004 Bow Brickhill station was unique in that the platforms were staggered so that the road traffic would not be held up as long, whilst the train was waiting at the station. More stations have been upgraded in this way as part of the Bedford – Bletchley route modernisation. There are plans to extend the line to Milton Keynes Central station. The platform at Milton Keynes Central was ready for use in 2009, but the signalling needs upgrading at Bletchley station before the line can be used. This should be achieved sometime in 2013, barring delays. Plans are being looked at to re-open the Varsity line, but this is still uncertain. The link between the still running Oxford and Bicester part of the line to link with Milton Keynes seems to be gaining momentum, but the Bedford to Cambridge part will entail having a new route planned as the old route has been reallocated to other uses. In 2011 the Chancellor allocated £270 million for the East West Rail Consortium to extend the line, linking the Marston Vale line to Winslow, Bicester Town, Oxford and Reading. 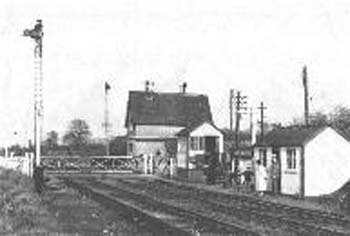 My great Grandfather was the Station Master at Bow Brickhill early last century. The site tells me this is a duplicate comment but I’ve never been here before today. A life on the old canal!